I did not think that there was a correct day to blog, but apparently there is. Monday is that day. I follow a few writers on Twitter and noticed something the other day. There is a #MondayBlogs hashtag. Pretty cool, I thought. 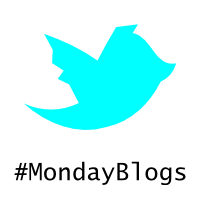 I figured, if there is a #MondayBlogs hashtag, there are probably other hashtags for bloggers who post on other days. I was amazed to find out that there are not. There are users with days of the week and “blog” as part of their names, but as far as widely used (or even used at all) hashtags for bloggers, #MondayBlogs is the one weekly bloggers use. Which means that I picked the wrong day to release my blog posts. Of course, I did not know any better when I started this crazy blogging thing all those years ago. I did not know that there were protocols and rules to follow. I did not know that there were hashtags and trends that you had to keep track of. I was and still am just a hack with a website trying to find a following out there. I am just a writer trying to find more readers. And I am not doing such a great job. Probably because I did not know the rules. Which means that I should have picked Monday to release my blog posts. If hashtags and trends and finding followers are all part of the marketing process for bloggers, I really messed up picking Saturdays to post. I dropped the ball picking Thursdays or Fridays to give my followers a chance to read my blog before the rest of the world. I did not do my homework. I did not follow the formula. I just wrote and posted. Wrote and posted. Which means that I am the one to blame for having few readers (real or imaginary). I suppose I should be glad that even without following a proven formula for success that I have as many real readers as I do. After all, my following is out of the single digits. And it only took a few years. Which means that if I can get a few readers, anybody can. There is hope. I could change my post day and go with the flow. I could hope to become a heavily followed blogger just by changing one little thing. But then again, I do not know that I could do that. I do not know that I could make such a drastic change. For myself or for my readers (both real and imaginary). Besides, all these years of having a consistent release day must count for something. Hashtags and trending cannot be the is all to end all. Like I said, there is hope. I hope I can get a few more followers. I hope I can get more readers. But in the end, it does not really matter much. I have fun blogging. In fact, I need to write like I need to breathe. It is part of who I am. And who says that just because I do not release my blogs on Mondays that I cannot use the hashtag. What internet police will write me a ticket for blogging on the wrong day or using an incorrect hashtag? And if there were such an enforcement body, what other bloggers or tweeters will rat me out? Which means that I am just going to break the rules. If there are such rules. I am going to continue posting and giving early looks at my blog on the same days that I always have. I am merely going to tweet that I am a Monday blogger. I am going to jump on the Monday bandwagon. But in hashtag only. Which means, dear reader, that you need to keep a secret. If you are public about reading my stuff, do not tell people you read my blog on the weekend before my Monday tweet. You just saved me from doing the same thing. This whole thing is so new to me…blogging, web pages, etc. I thank you so much for sharing your experience in such funny, thought provoking way!! We writers have to stick together!! Running Is a Contact Sport Why Twitter Fiction?